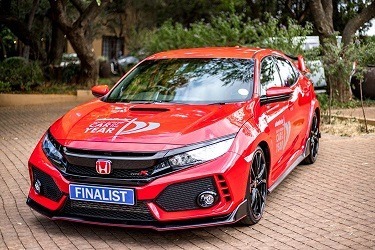 The Honda Civic Type R has been announced as a finalist in the 2019 AutoTrader Car of the Year (COTY) competition. The South African Guild of Motoring Journalists (SAGMJ) revealed the 12 finalists competing for the coveted competition at an event held in Johannesburg on Tuesday November 20, 2018. Released in South Africa earlier this year, the latest generation Honda Civic Type R raises the bar in the highly competitive high-performance hatchback segment and is a strong contender for the AutoTrader Car of the Year (COTY) 2019 competition. The finalists will be put through their paces in March next year where they will be scored on various criteria. The winner will be announced in April 2019.